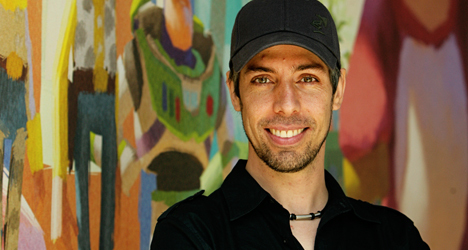 Guilherme Jacinto moved from Brazil to San Francisco in 2003 to study animation. 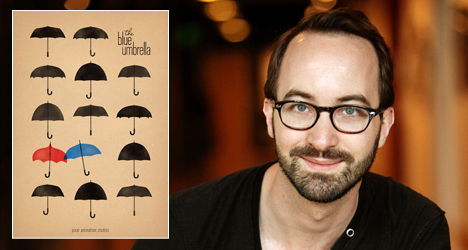 He now works in the animation department of Pixar Studios. Jacinto, 23, started his career by working on the film "WALL-E." He recently finshed his work on "Up" and is currently working on "Toy Story 3." Now, Jacinto, 23, is ready to show off his second animated film also from Pixar. In “Up,” Jacinto works in the animation department and helps create a number of characters in the film including Carl Fredricksen, a retired 78-year-old balloon salesman who journeys to South America via floating house, and Russell, an 8-year-old Boy Scout who becomes a stowaway for the aerial adventure. Was animation something you were always interested in? I always liked drawing comic books and stuff like that. When I saw “Toy Story” [in 1995 when he was only 10 years old] I got interested in animation. I really didn’t know how the process worked, but later I wanted to study it and ended up coming to San Francisco to do that. When you were younger, where would you draw inspiration from for your work? Where do you draw it from now? I used to read a lot of comic books like “Spider-Man” and watched a lot of cartoons and movies, but nothing specific. As I got older, I drew from my own experiences. Now, instead of referencing movies and other things I always draw from life and whatever feels natural. I always base my ideas on people that I know. How did you connect with Pixar? During my third year of school I got an internship. I submitted my reel and they accepted me. I had to go back to school for a year to finish. When I graduated, they called me and offered me a job. You were an animator fresh out of college and you landed a job with Pixar. That had to have been surreal for you. I did the same thing on “WALL-E” that I did on “Up,” which was basically working on a little bit of all the characters. At Pixar we’re not character specific. We get to work on different characters and different sequences. What would you credit as the reason Pixar is always leading the pack with their animated films? We work on the stories for so long and try to make them original. We try to makes them really special and so different than everything else that is out there. Everything just feels very authentic. It never feels like we are referencing anything else. We’re not trying to copy anyone else. 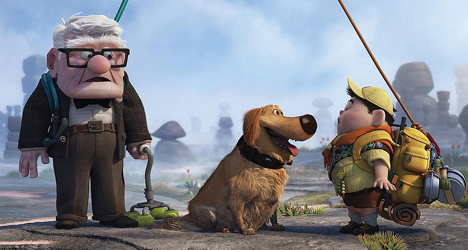 How was working on “Up” different from your previous experience with Pixar? 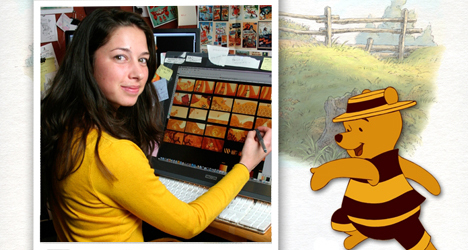 I felt it was very challenging because the style of animation was different than what I had done before. It was way more stylized. I worked on a lot of different characters that I had never done before. We had to do a lot of research to get everything looking right. I think the worst thing in an animated film is when a voice doesn’t match a character. Is that a priority for you as an animator? Yeah, I think that one of the most important parts of our job. We want to make it feel like the character’s really saying what he’s saying. For example, we would watch tapes of Ed Asner doing his voice work and study everything – how he stands, how he talks, all the subtle things, just to get a better sense of how we wanted to make the character. We don’t necessarily want to copy the actor, but we always try to find a good balance. I’ve been following his work and he is really talented! I’ve just checked your website, your demo reel is awesome!